In this study, the RCU examined four-year graduation-rate data for a cohort of 15,470 students who entered secondary public school programs in the 2007-2008 academic year and were enrolled in one or more career and technical education (CTE) courses during their academic careers. This study has two primary purposes: 1) to calculate by career cluster and pathway the impact of CTE involvement on graduation rates for the cohort, and 2) to measure the influence of student demographics and socioeconomic status on CTE graduation rates within the cohort. Results from the 2007-2008 cohort were reported in 2013. This work is ongoing as we include additional cohorts in the study. For more information on the graduation-rate study, please contact Sean Owen at sean.owen@rcu.msstate.edu. Following a restructuring of the career and technical education (CTE) framework and purpose at the national level and the adoption of 16 career clusters for statewide secondary education in Mississippi, the RCU has designed a survey to gauge Mississippi educators' perception of CTE. 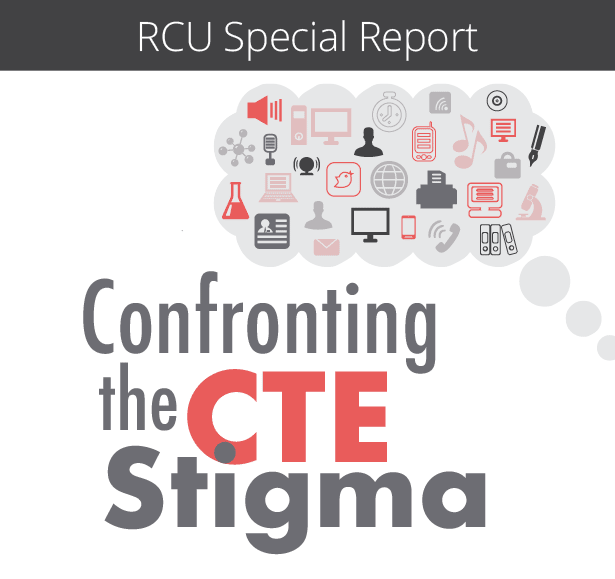 The purpose of this survey is to determine if perception and the current state of CTE are aligned. This research project is ongoing. 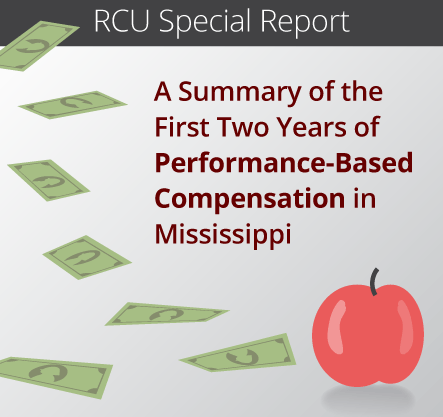 At the request of the Office of the Governor, the RCU conducted an extensive review of performance-based compensation (PBC) systems across the country to make recommendations regarding a possible system in Mississippi for K-12 teachers. Following this report, the state legislature funded SB 2658, which allocated $1.5 million (on an annual basis since 2013) to pilot PBC in four districts across the state. The RCU was appointed in SB 2658 to conduct a study of this cohort of districts, as well as two other cohorts implementing performance pay: the state’s 10 Teacher Incentive Fund schools and three districts with a PBC grant from the Appalachian Regional Commission. Final results of this work will be reported in November 2016 and will inform decisions regarding performance pay for teachers in all Mississippi school districts. 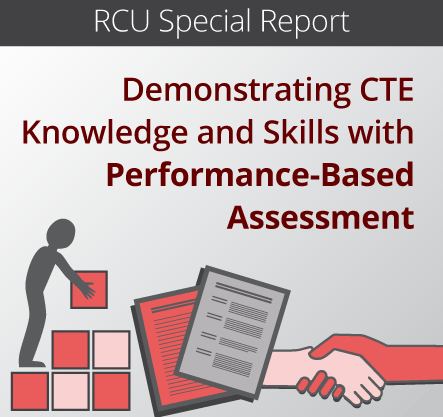 In 2010, the Mississippi Department of Education and the RCU began researching alternative forms of statewide assessment for career and technical education (CTE) programs. Portfolio assessments were used in 2010, and in 2012 some programs began transitioning to performance-based assessments (PBA). During the 2013-2014 academic year, the PBA project expanded from four programs to eight, and in April 2014 over 1,000 CTE students completed a PBA along with or in place of a multiple-choice exam. Throughout this project, the RCU was involved in researching assessment methods, facilitating the writing of assessment materials and manuals, delivering training and assessment materials, collecting and reporting results, and analyzing performance data. The research included an annual efficacy report with a disaggregation of collected data, explanation of findings, and recommendations for future use of PBA. For more information on PBA, please contact Ashley Brown at ashley.brown@rcu.msstate.edu. Beginning in 2011, the RCU assisted the Mississippi Department of Education (MDE) with the development, training, and implementation of statewide evaluation systems for Mississippi’s approximately 35,000 K-12 educators. These evaluation systems were mandated by the state’s federally approved ESEA Flexibility Waiver. The RCU was pleased to join forces with the Southeastern Comprehensive Center at SEDL, Dr. Joseph Murphy of Vanderbilt University’s Peabody College of Education, the American Institutes for Research, Cambridge Education, IMPACT of Mississippi, and the Regional Educational Laboratory–Southeast to help the state of Mississippi meet federal requirements. The RCU assisted the MDE with implementing and evaluating the Mississippi Teacher Evaluation System and the Mississippi Principal Evaluation System, which cover certified teachers, principals, and CTE directors in all public school districts across the state. A multistate project with university partners in Mississippi, Alabama, and Louisiana, the Northern Gulf Coastal Hazards Collaboratory (NG-CHC) established a consortium to: (a) enhance the research competitiveness of the region; (b) advance economic opportunities for citizens by reducing risks to coastal vulnerabilities; and (c) catalyze collaborative research that addresses a problem of major national importance: engineering design, coastal system response, and risk management to coastal hazards. The three states in the consortium leveraged their unique partnerships, proximity, and significant prior investments in cyberinfrastructure (CI) to establish an integrated CI that advances the science and engineering of coastal hazards across the region. As Mississippi's internal evaluator for this project, the RCU used formative evaluation to assess performance and provide feedback for project improvement and summative evaluation to determine the degree of success in achieving project goals.